I’ve been wanting to make some fruit free ‘treats’ for a while. I searched around for a recipe and found a great one at Sarah Wilson’s I Quit Sugar. The recipe below is based on the I Quit Sugar recipe however I used a little extra rice malt syrup and added a smidge of vanilla powder and chia seeds. The extra sweetness was to entice my sweet tooth kids, as they seem to find cacao a little bitter. My kids seem to be forever snacking and generally eating rubbish. This is pretty much my fault because I’m the one that bribes them with Milky Ways and Caramello Koalas. So I needed some healthy, yummy bribes treats. 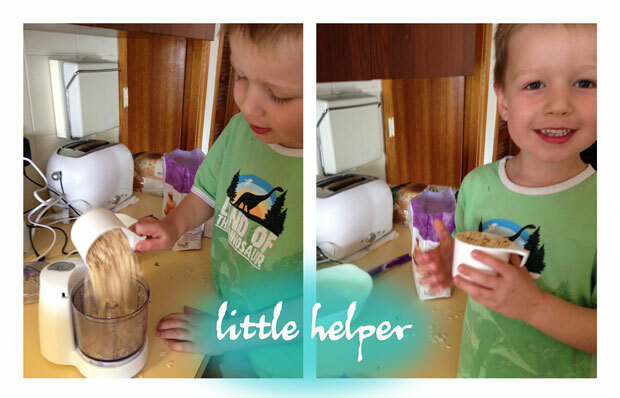 I had a little helper (and taste tester). 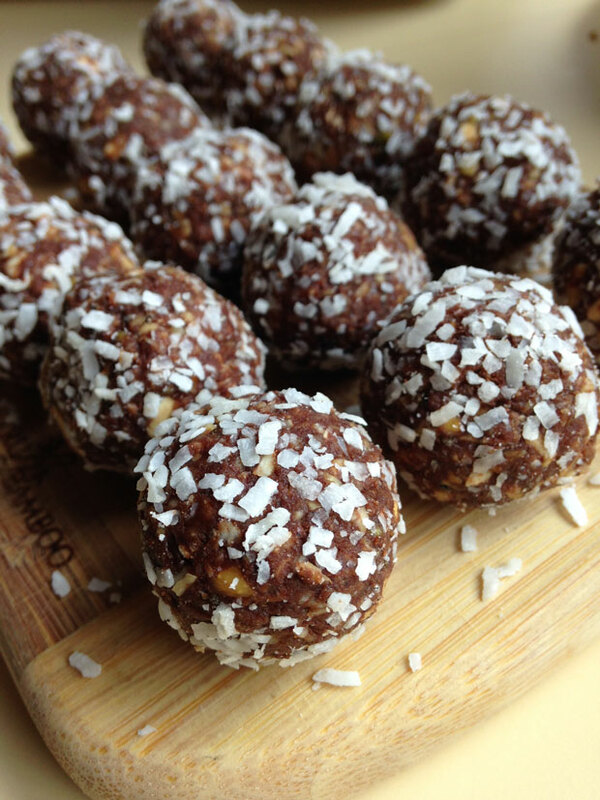 I’m happy to say the kids loved these Fruit Free Bliss Balls and over time I can cut back on the sweeteness (rice malt syrup and vanilla powder) but for now I’m happy they’re eating these as treats over some of the other junk they would have eaten! Chop the mixed nuts and oats in a food processor. Don’t mix it to fine, it’s best if the mixture is coarsely chopped. In a large bowl mix nut and oat mixture together with cacao, cinnamon, maca, protein powder, chia and salt. In a separate bowl mix the cashew nut butter and rice malt syrup. Add the cashew spread (or nut butter)/rice malt syrup mixture to the dry ingredients. Mix together with a wooden spoon or use your hands if it’s easier. 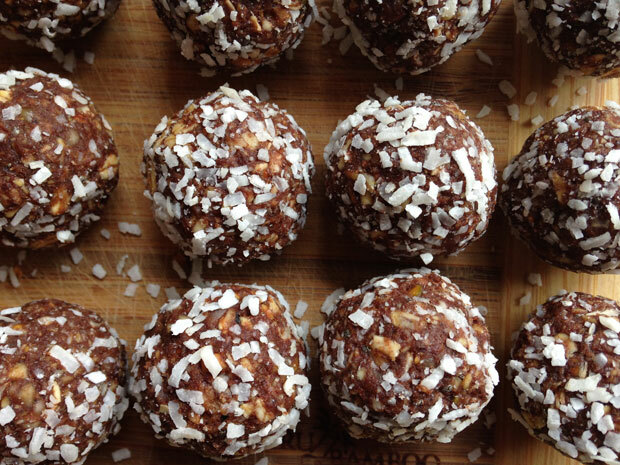 Add one tablespoon of almond milk at a time, until the mixture sticks together so you can form balls. Makes about 26 depending on the size you roll the balls.